A DCU STUDY has indicated that teenagers using the app Yubo are sharing content through secondary profiles such as Instagram and Snapchat, jeopardising their privacy and leaving themselves vulnerable. Launched in 2015, Yubo (formerly called Yellow) is a location-based social networking app for teenagers, where they can connect with new friends by swiping left on a user’s profile. It allows for the live streaming of video and chat, both one-on-one and to groups. The app has over 15 million users who send in excess of 3 million messages per day. It has raised concerns with both parents and educators because of its potential to link and create friendships with strangers. 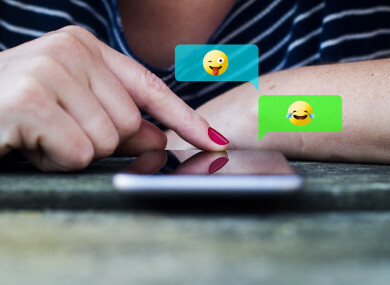 Although the study found that sexually suggestive or sexualised images were rare, the app encourages teenagers to describe themselves using emojis. Of the profiles examined, 65% had emojis, and of the eight most frequently used emojis, half were categorised as having a sexual meaning. With regards age and gender profiles, the split between male and female was quite even, 54% male to 46% female. 60% were between the ages of 13 and 16, 40% were 16 or 17. Yubo users can share their username or snapcode in their bio or on profile pictures (though due to recent changes on the app, they can no longer connect their Instagram or Snapchat accounts). The research found that 80% of users had public Instagram profiles, while 7% of users shared their Snapchat details publically (before matching). Growing concerns about privacy and disclosure online that prompted this study have been borne out in the results. A large number of the users on the app appear to mitigate their own privacy risks in favour of creating new online friendships. Liam Challenor, researcher at the National Anti-Bullying Centre at DCU said that the study found the group of 15-year-olds were “engaged in more ‘risky’ behaviours on the app than other ages”. While Yubo is making strides to make the platform safer for teenagers, it’s important that parents and teachers are aware of how the app works and what sort of activity is going on it. Email “Young teenagers' privacy at risk and left vulnerable on Yubo app - DCU study”. Feedback on “Young teenagers' privacy at risk and left vulnerable on Yubo app - DCU study”.